Standard Bank will also be acquiring the naming rights to the Festival’s new Craft Market as it moves to its new home and undergoes a facelift, Lankester added. Among the changes planned for the market are the introduction of performance spaces; extended trading hours for the popular beer tent on certain nights; a layout redesign; the inclusion of visual artists in the market precinct; and a greater emphasis on children’s entertainment and activities. “We’re working with our various partners, including some of the traders and crafters to design the new market. Standard Bank’s investment will give the market a solid business partner, while also giving us the space to create a unique and memorable experience for our visitors,” he added. Hazel Chimhandamba, Head of Group Sponsorship at Standard Bank, said that the sponsorship had evolved significantly over the years, and the changes planned for 2018 were part of an ongoing reinvention of the relationship. “Standard Bank is truly part of the DNA of the National Arts Festival and our partnership ensures that it continues to not only provide a significant, credible platform for artists and audiences, but also that it makes a major contribution to the economy of Grahamstown and the Eastern Cape.” The most recent study, conducted by Rhodes University’s Department of Economics, credited the Festival with making a R377m contribution to the GDP of the province and R94m to the city, predominantly through employment and visitor spend. Standard Bank’s sponsorship covers just under one-third of the Festival’s operating budget, with the balance coming from other Presenting Sponsors – the Eastern Cape Government; the National Department of Arts and Culture; the National Lotteries Commission and independent sources such as ticket sales and commissions. The National Arts Festival Chairman, Ayanda Mjekula, thanked Standard Bank for their ongoing support of the Arts. “One would be hard pressed to find a corporate sponsor with more passion for, and commitment to, the Arts than Standard Bank. 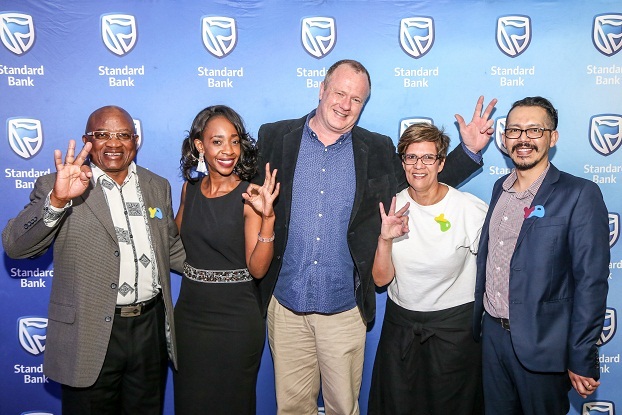 Whether it is the staging of the country’s leading Jazz Festival or the support for generations of Young Artists, Standard Bank brings a sharp focus to their partnerships and makes sound investments that help the industry flourish and thrive,” he said. The National Arts Festival will take place in Grahamstown from June 28 to July 8, 2018.